(VIDEO) HRH Prince Carl Philip of Sweden Participates in a Race. On Saturday, July 11, 2015, His Royal Highness Prince Carl Philip of Sweden participated in the Swedish Touring Car Championship (STCC) Race in Falkenberg, Sweden. To everyone’s surprise the 36-year-old prince actually won the race. Anyway, cheering on Prince Carl Philip was his wife of almost a month, Princess Sofia of Sweden, and His Majesty King Carl XVI Gustaf of Sweden. (VIDEO) HSH Prince Albert II of Monaco Attends 2nd Edition of Solar1 Monte-Carlo Cup. On July 11, 2015, His Serene Highness Prince Albert II of Monaco attended day two of the 2nd Edition of the Solar1 Monte-Carlo Cup organized by the Yacht Club de Monaco (YCDM). The race, with sixteen competitors, is the only meeting in the Mediterranean for solar-powered boats according to the YCDM official website. (VIDEOS) Celebrations in Monaco for HSH Prince Albert II. On Saturday, July 11, 2015, Their Serene Highnesses Prince Albert II and Princess Charlene of Monaco accompanied by Her Royal Highness Princess Caroline of Hanover, Mr. and Mrs. Andrea Casiraghi, Mr. Pierre Casiraghi and his beautiful fiancée, Miss Beatrice Borromeo, Miss Charlotte Casiraghi, Her Serene Highness Princess Stephanie of Monaco, Miss Pauline Ducruet, Mr. Louis Ducruet, and Miss Camille Gottlieb celebrated 10 years of the reign of HSH Prince Albert II. During today’s festivities, held on the Place du Palais, gifts were exchanged, toasts were made, and of course a speech by the sovereign prince. Another highlight from this afternoon was HSH Princess Charlene of Monaco’s speech to her husband. It was in French and it was kind of a big deal. Why? Well, this was the first time the lovely princess has given a full speech in French. Anyway, if you missed today’s celebrations you can watch the rebroadcast here. (VIDEO) A Visit to the Zoo for Members of the Royal Family of Belgium. 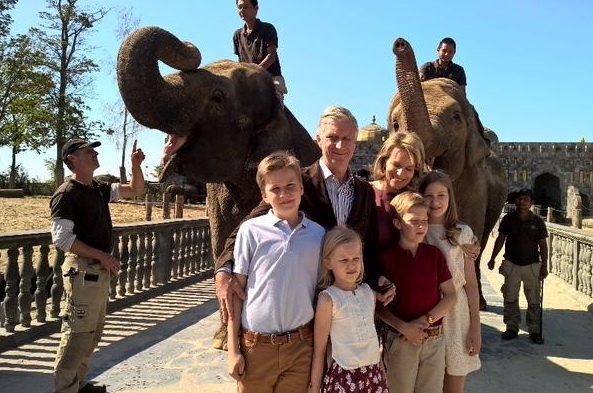 On Saturday, July 11, 2015, Their Majesties King Philippe and Queen Mathilde of Belgium along with their four children, Princess Elisabeth, Princess Eléonore, Prince Gabriel and Prince Emmanuel, visited the Pairi Daiza Zoo and Botanical Gardens in Brugelette, Belgium. During today’s visit the royal family met the zoo’s latest edition a baby elephant named, Nang Faa, born on May 20, 2015 as well as those cute and cuddly panda bears, Hao Hao and Xing Hui. Photo courtesy of the Belgian Royal Court. Albert II: Ten Years as the Sovereign Prince of Monaco. 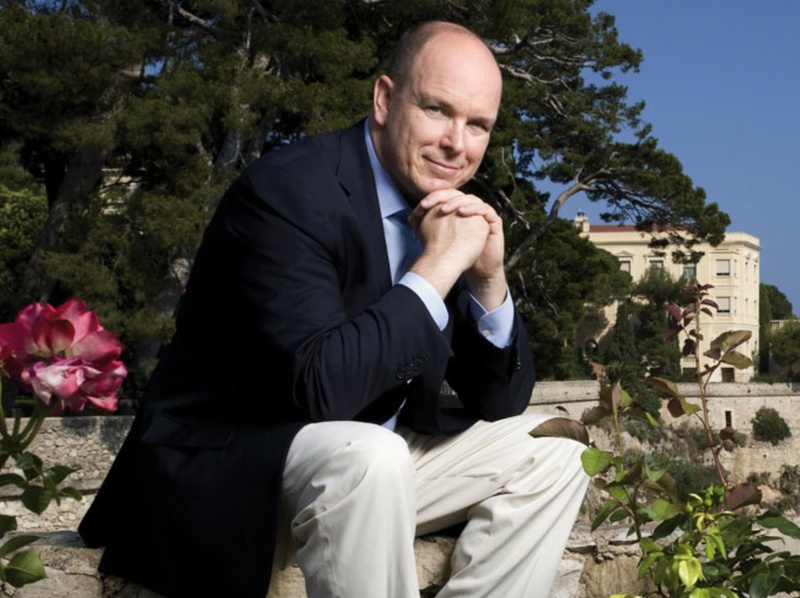 On Sunday, July 12, 2015, His Serene Highness Prince Albert II of Monaco will celebrate 10 years as the sovereign prince of Monaco. In honor of the prince’s historic reign a two-day party will take place in the tiny principality. Beginning at 4 P.M. on Saturday, July 11, a cocktail reception will be held for Monégasque citizens as well as residents in the Palais Princier Square in Monaco-ville. Prior to the reception there will be a balcony appearance by Their Serene Highnesses Prince Albert II and Princess Charlene of Monaco and family. During the reception guests will be entertained by local singer, Miss Olivia Dorato, percussionists Dulumba and the Miss America Group. Gifts will also be presented, during the reception, to the princely couple by the Mayor of Monaco, Mr. Georges Marsan. On Sunday, July 12, 2015, at 5 P.M. famed singer, Mr. Robbie Williams, will perform a full concert set along with Mr. Justin Caldwell and Lemar. If you are interested in watching the celebration live and/or the rebroadcast please click here. And, with that… congratulations to His Serene Highness Prince Albert II!